It’s time for another “trade” post, everybody! I’ve been doing well in sticking with the one-every-three posts schedule. It’s really helped me get caught up. In fact, this package came in just last month! That’s some huge progress in my mind. Our favorite feathered friend, Night Owl sent me a care package that arrived shortly before my surgery. In that respect, I would say it’s not really too much of a trade, per se, but it’s going to become one as soon as I send out the stack of stuff I pulled for him. 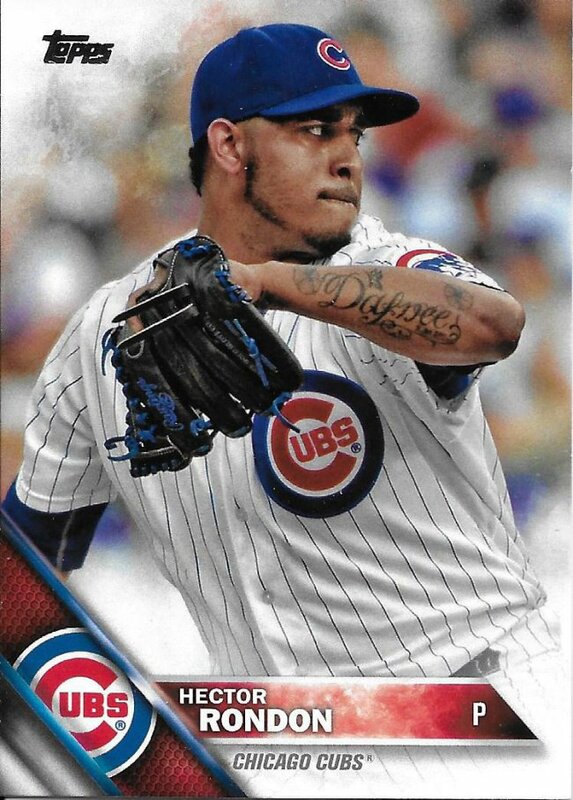 In the assortment of cards, he also included a note saying something to the effect of how he’s grateful anytime he can get rid of Miguel Montero cards. Well, I’m certainly grateful to receive any that I don’t already have (which is a pretty sizable amount). Let’s quickly dive in to some Miggys and others as I actually have to work late this week to meet a deadline for a very tedious project. Cover the name and then try to guess who this player is. I really liked the idea behind the Triple Play reboot, but the execution was a little off and the production numbers were waaaayyy off. 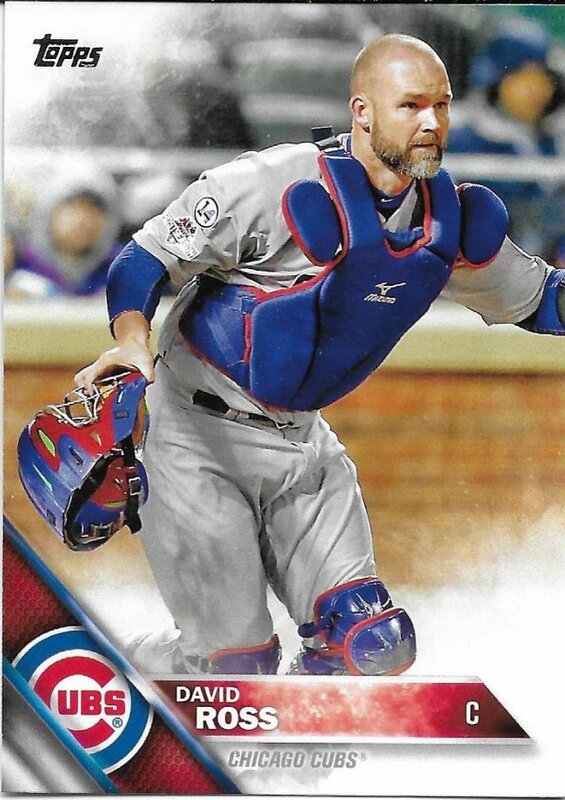 Logos or not, I like seeing catcher gear photos a lot more than a catcher batting. Of course, 2010 UD didn’t actively avoid logos as they were supposed to, but yeah. 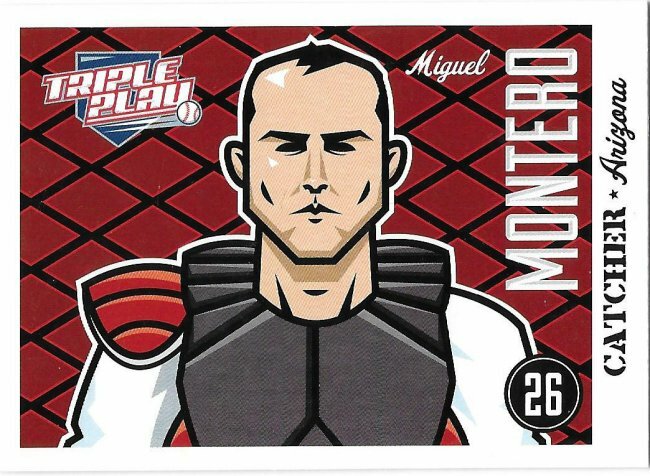 With this, I’m now at 112 different Miguel Montero cards. Out of 526 total needed through 2018, that puts me at 21.29%, with 16 more on the way from my recent Sportlots binge. I know most of you won’t care about the numbers, but calculating those totals is quite a bit of fun for me, so bear with me! 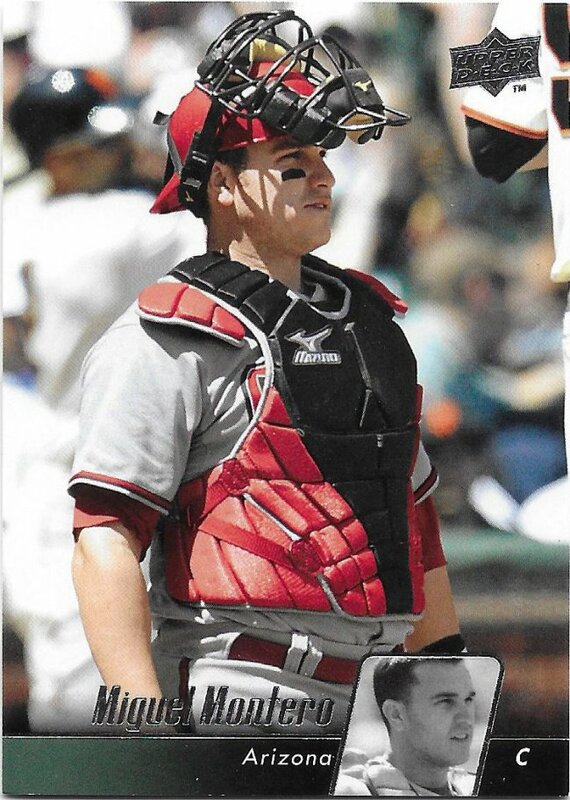 Here’s another catcher gear photo. Mound visits could be used more often in cards in my opinion. I think this is a post-victory visit though based on context. I’m at 70 of 451 cards for 15.52% now. Switching to yet another catcher. 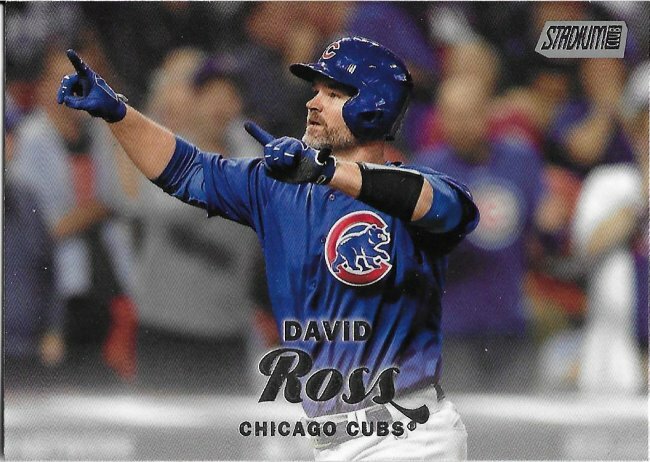 Night Owl has been a good source for David Ross cards in the past and he continued that trend here. Despite a longer career, Ross has far fewer cards, so any progress is great. I’m at 25 cards of 174 now. That’s a 14.37% completion with very little chance for added denominator. Okay, I’m done with the catchers and moving on their battery partners. I know it might come across as insincere when I say this, but I promise it’s true. I really like getting base cards in trade packages. I heavily rely on that kindness. And when it’s a relief pitcher that isn’t the first thought of most people, it’s even better. 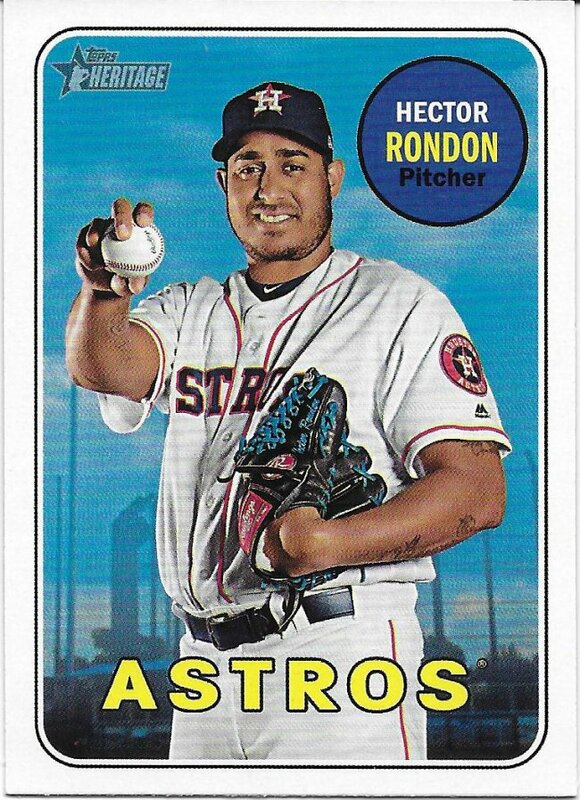 I’m at 42 Rondon cards of 128 now. 32.81%… Crazy! Forget blocking logos, how about blocking faces? On to the last two. I haven’t bought Chrome in any meaningful way since 2010, so again I’m relying on the purchases and acquisitions of others to help me fill in the gaps. Even if I did buy every product, there are so many inserts and variations of inserts and parallels of everything under the sun that I’m always going to need help. 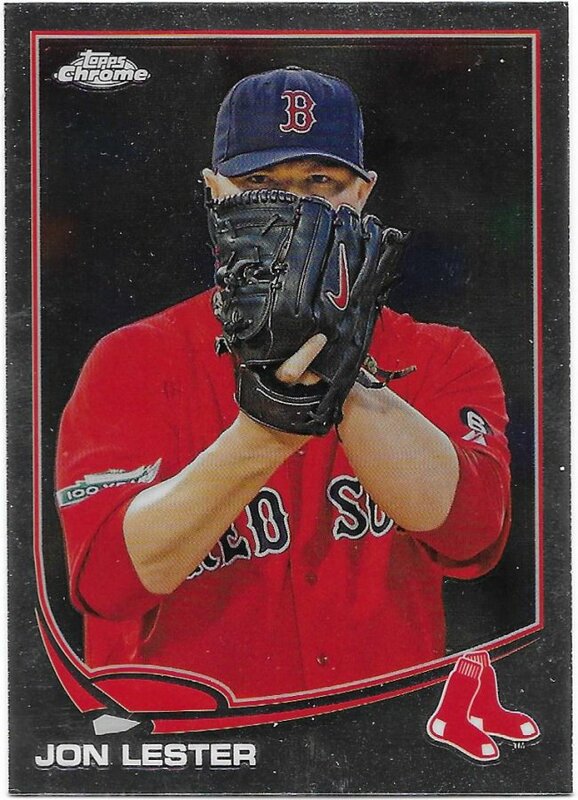 After all, I’m at 278 Lester cards of a whopping 1389. That’s still a solid 20.01% but there’s a long way to go! Regardless, I’m very thankful to Greg for the kind care package. I swear I’ll have something out to you soon. The cards are pulled, but I didn’t get them bundled safely and in the mail before recovery started. Now I’m cleared for full movement and lifting, etc so I can reach and stretch to get to my shipping supplies again! No rush on sending anything out. I’m still trying to respond to people who sent me stuff before Christmas. 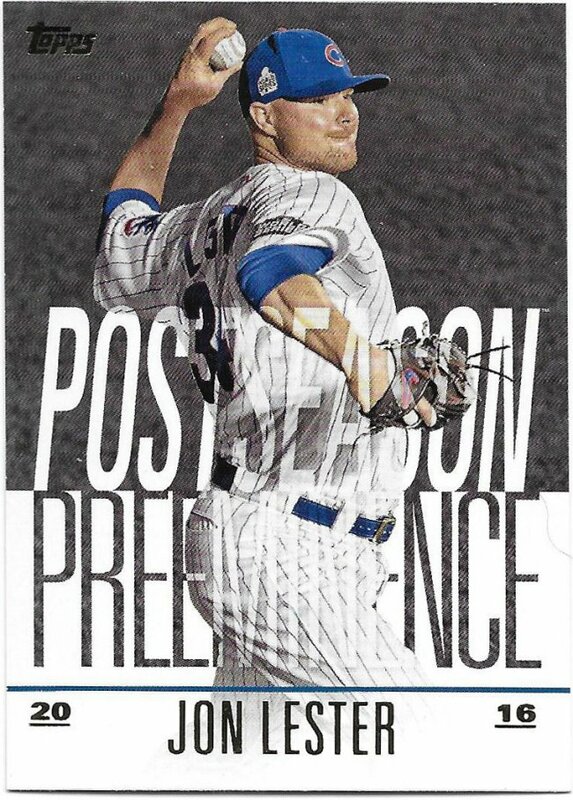 Also, had no idea that the Postseason Pre-eminence set had parallels. I should naturally assume that every insert set does these days, but I still haven’t become quite that cynical. I feel ya on Lester. 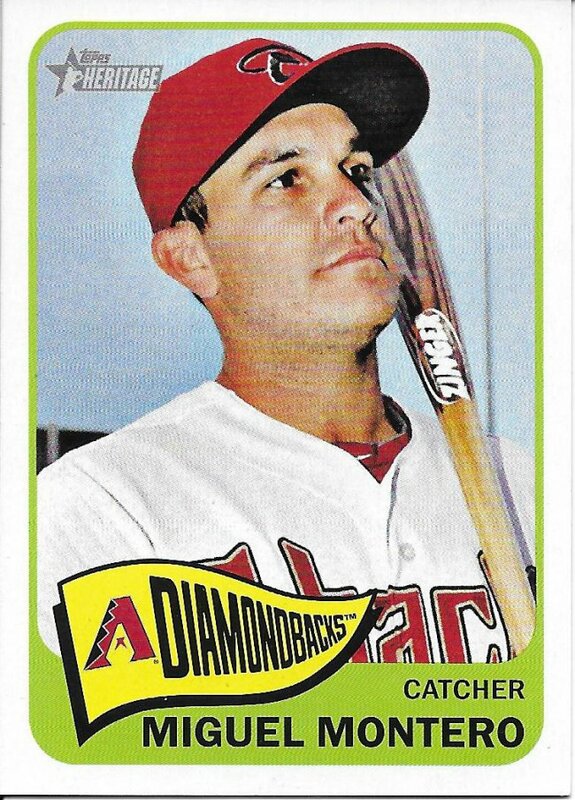 I PC a bunch of guys, but these days I don’t go out of my way to track down every single card of them. It’s way too expensive. I’ll add them on the cheap and will get excited when they’re part of care packages. But the days of trying to be a super collector are long gone for this collector. P.S. 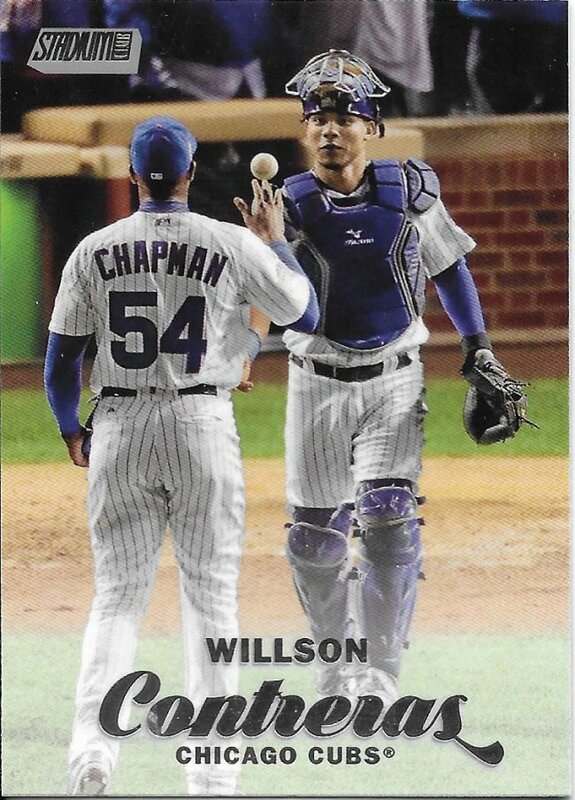 Love that Stadium Club Ross and Chrome Lester.